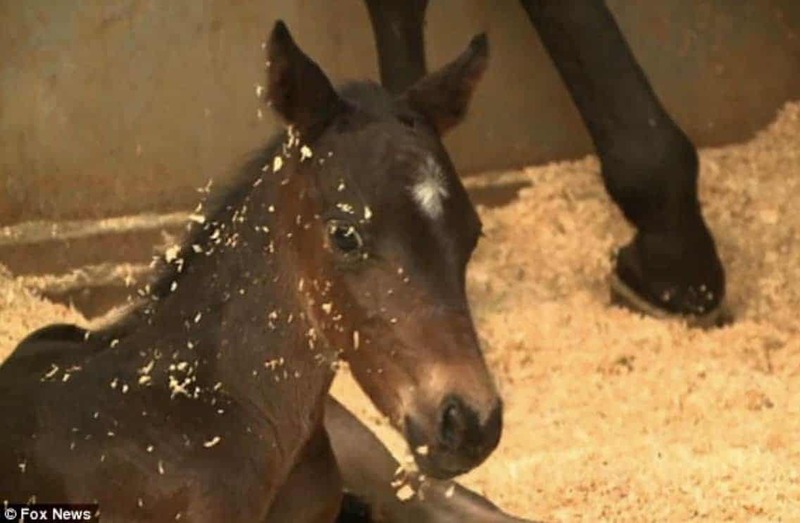 Every time a baby is born into the world it is a miracle, but when Emma the horse gave birth this past week, she actually did give birth to a miracle. Or more correctly, two miracles! 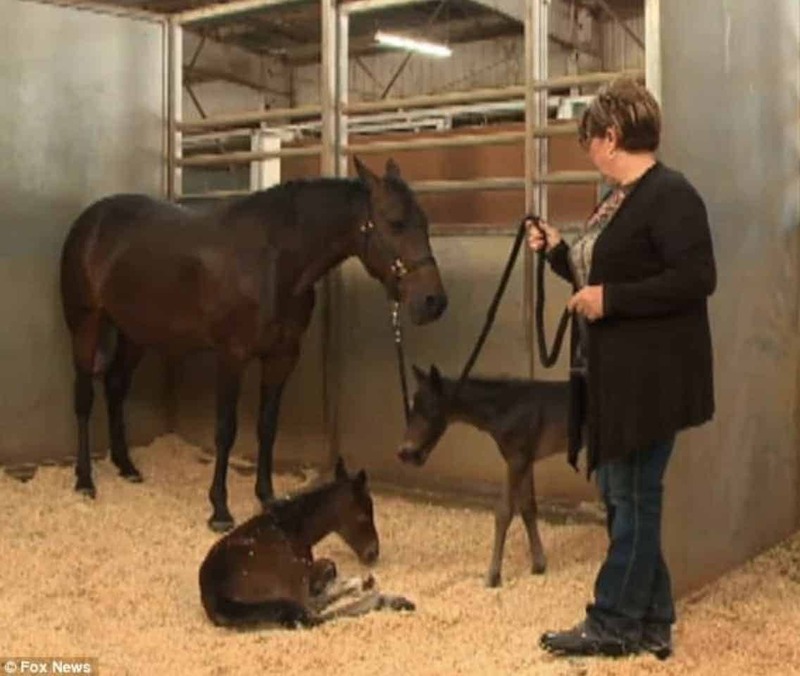 Mother horse, Emma, defied staggering odds to give birth to not one, but two, baby foals this week, surprising everyone. 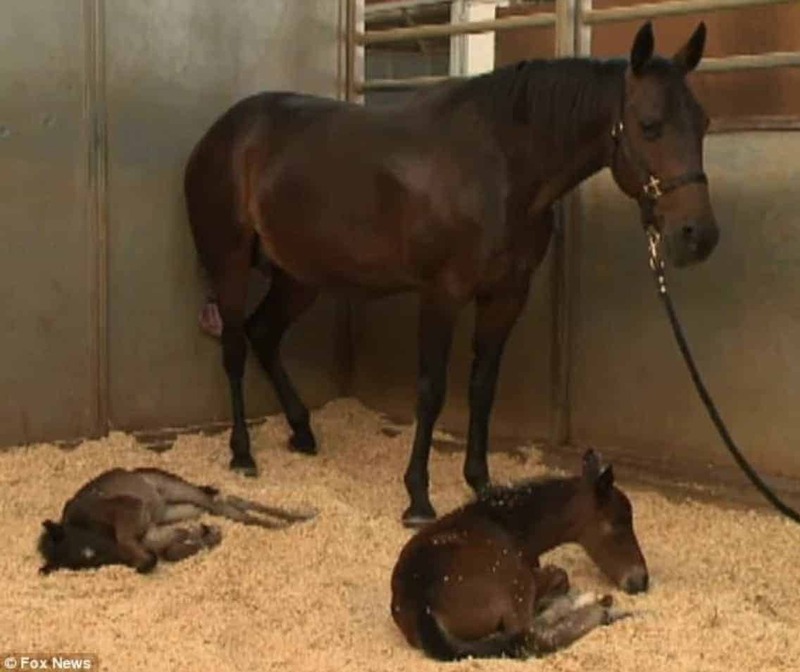 It isn’t unlikely for horses to fall pregnant with twins, however it is unlikely that the horse will carry them both to full term. 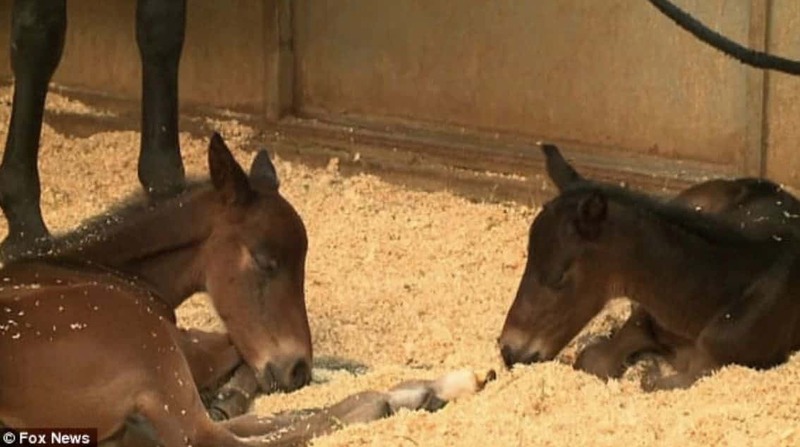 With odds of 10,000 to 1 that both embryos will survive, the chances are slim of both foals being born. Although mares quite often conceive twins, it is rare that both embryos survive. If you have two foals, they are vying for space and the chances of them coming out alive and well are slim. 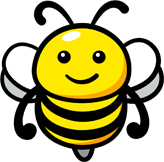 Usually one of the embryo’s will die in the womb, or one embryo will take over. Sometimes vets will even perform an abortion to ensure the safety of the mother horse. But Emma’s maternal instinct took over and she fought for both of her babies by keeping them nice and safe inside of her, without anyone knowing that she was carrying twins. Despite a difficult birth, both of Emma’s babies came out fighting and miraculously the pair are perfectly healthy and should have long, happy lives ahead of them. The twins, named Will and Grace, have become an internet phenomenon as everyone admires the beautiful miracles in all their adorable glory. Way to go super-mum Emma!